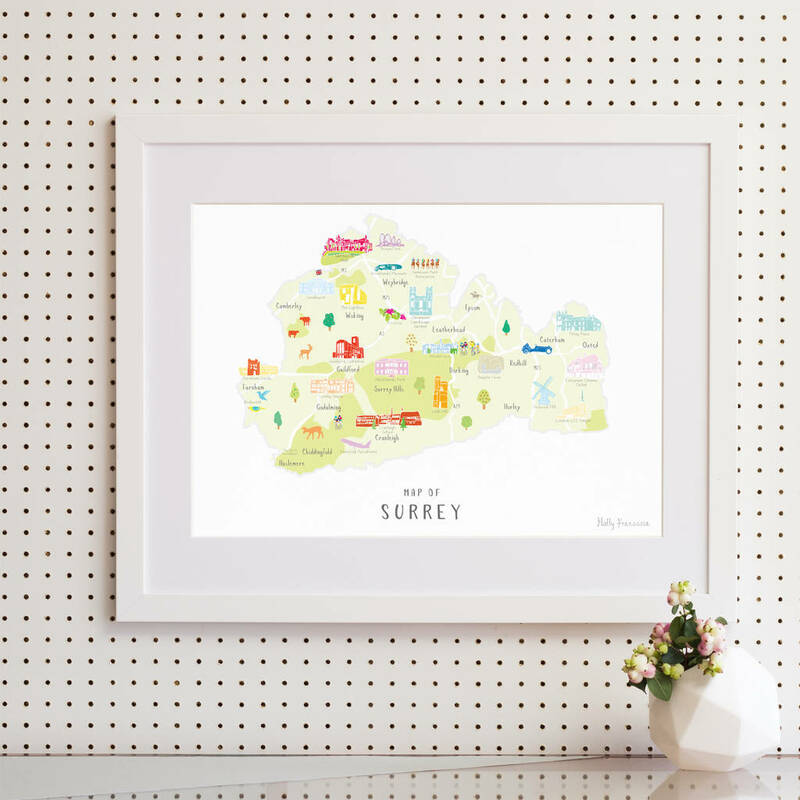 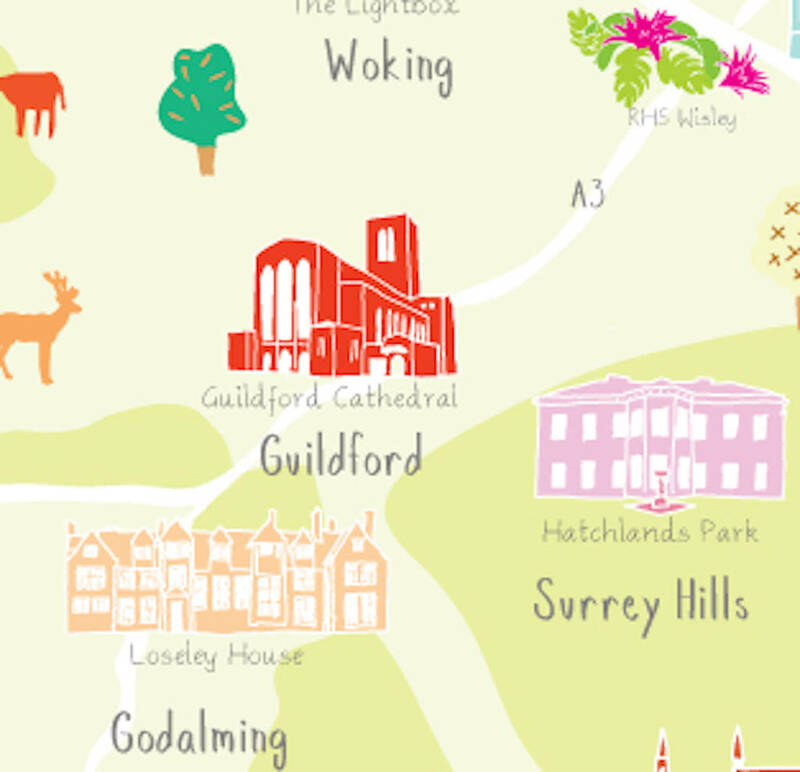 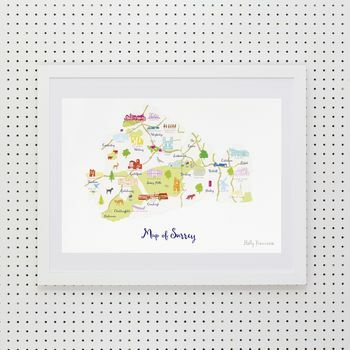 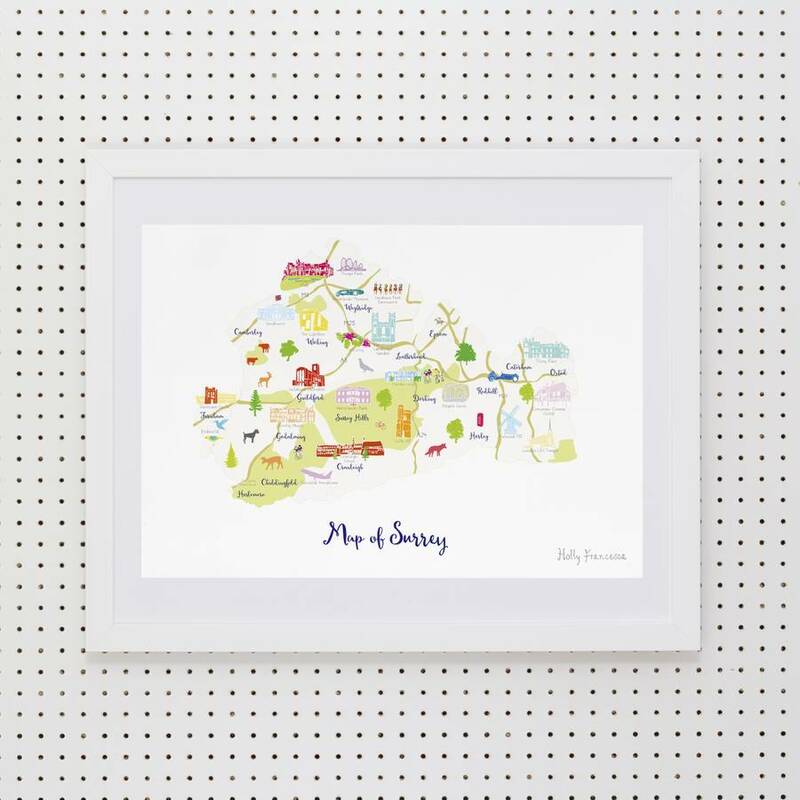 Illustrated art print showing a ‘Map of Surrey’ created from an original drawing by Holly Francesca. 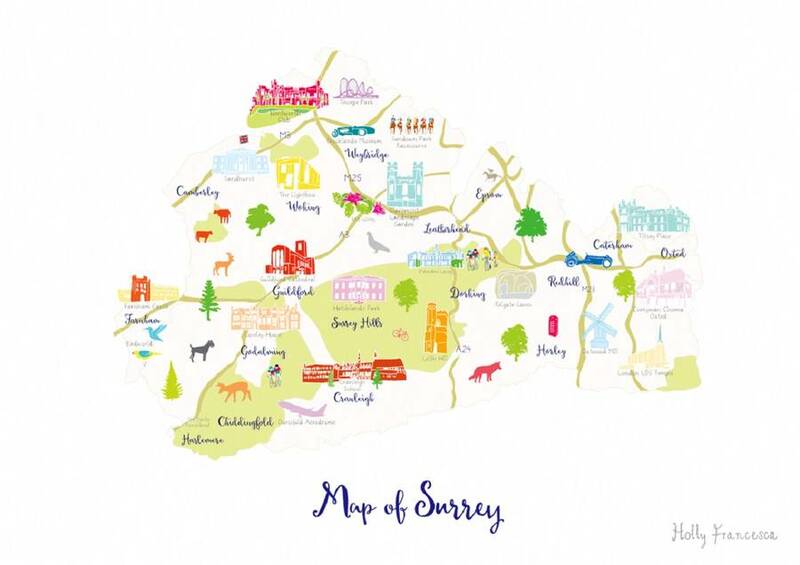 Weybridge, Camberley, Woking, Epsom, Leatherhead, Farnham, Guildford, Dorking, Redhill, Dorking, Caterham, Oxted, Horley, Surrey Hills, Cranleigh, Chiddingfold, Haslemere and Godalming. 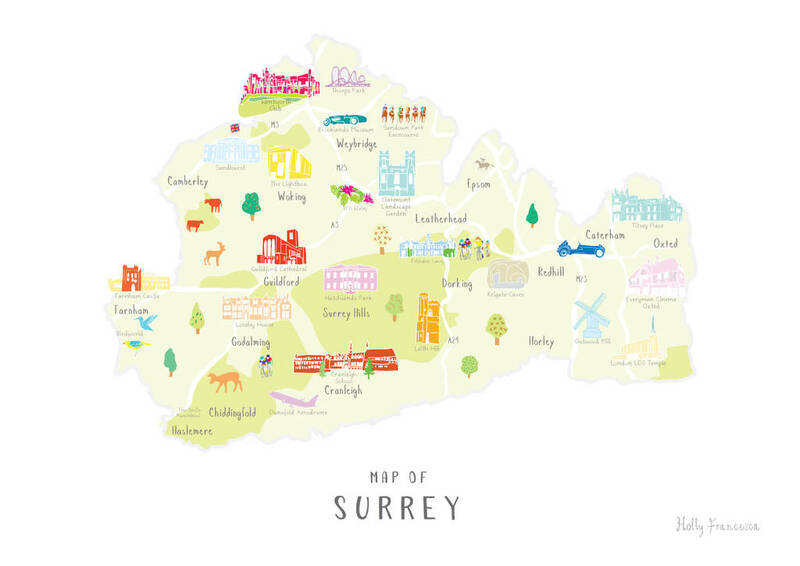 Wentworth Golf Club, Thorpe Park, Sandown Park Racecourse, Brooklands Museum, Sandhurst, The Lightbox, Claremount Landscape Garden, RHS Wisley, Guildford Cathedral, Polesden Lacey, Epsom Racecourse, Reigate Caves, Titsey Place, Everyman Cinema Oxted, Outwood Mill, London LDS Temple, Leith Hill, Cranleigh School, Hatchlands Park, Loseley House, The Devils Punchbowl, Dunsfold Aerodrome, Farnham Castle and Birdworld.